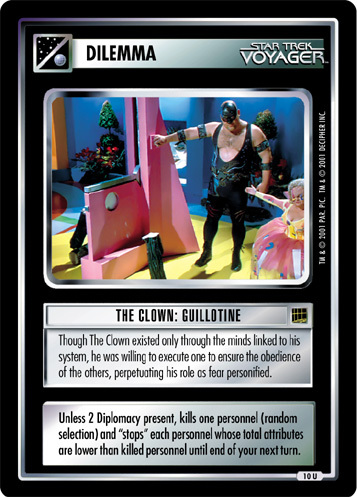 Linked directly to the minds of his "guests," The Clown could use their deepest fears to torment them. 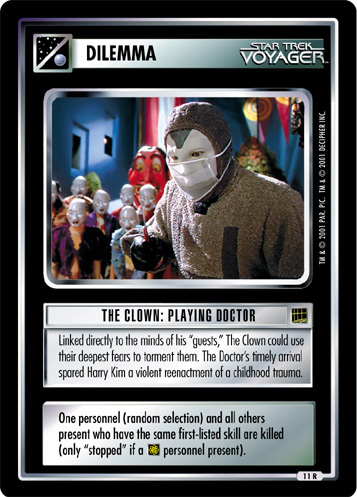 The Doctor's timely arrival spared Harry Kim a violent reenactment of a childhood trauma. One personnel (random selection) and all others present who have the same first-listed skill are killed (only "stopped" if a personnel present).